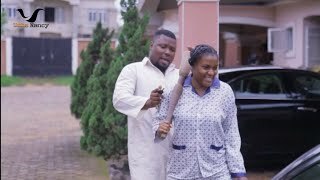 Here goes the final episode 8 of The Neighbours Nigerian Movie from Uche Nancy Production, now showing on Nigeria Movie Network! Uche Nancy says more of The Neighbours is still coming, maybe in a whole new season [?] Stay tuned! The Neighbors, a comic family series, stars Queen Nwokoye, Oma Nnadi, Dave Ogbeni, Nuel Chris, among other acts. Watch, comment and share this with friends on social networks! ABOUT THE MOVIE: The Neighbors is a comic family drama on the rival game that runs in a small Neighborhood. It is an amazing story that depicts the turns of comic events that happens in a Neighborhood. This comic drama is sure to keep you glued to your seat. Enjoy! Endeavor to leave your comments below to let us know what you think of The Neighbors Nigerian Movie ! !